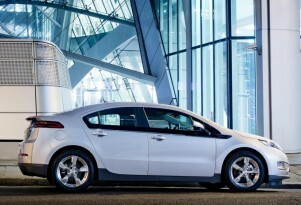 Why Can't Other Plug-In Hybrids Copy Chevy Volt's All-Electric Running? Is The 2016 Chevy Volt GM's Future Hybrid System In Disguise? Will The 2016 Chevy Volt Be A 'Mass-Market' Electric Car? Should It Be? Chevrolet CrossVolt Trademark Renewed: AWD Electric Car In Chevy's Future?